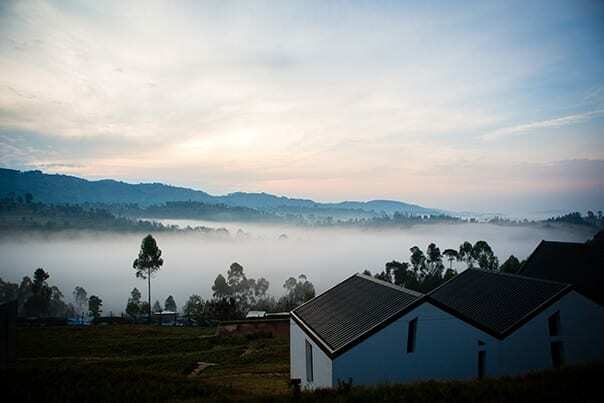 Early morning in Butaro, Rwanda. Every year, Partners In Health publishes "The Year in Quotes". This year, PIH Canada is embracing this much-loved tradition by pulling out a few our favourites (and adding some of our own). Program Officer Emmanuel Kamanzi on increasing demand for breast cancer screening in Rwanda, where PIH clinicians and colleagues trained hundreds of women to spot signs of the disease. In response, PIH set up a clinic dedicated to breast cancer in 2016. Read more about cancer treatment in Rwanda here. Isemelie Bazard, a 64-year-old street vendor who underwent surgery and chemotherapy at PIH’s University Hospital in Mirebalais, Haiti. The cancer center at University Hospital performed free biopsies for 1,600 patients and delivered chemotherapy to roughly 15 patients per day in 2016. The full story. Dr. Dan Palazuelos, co-founder and Chief Strategist of Partners In Health’s sister organization Compañeros en Salud in Chiapas, Mexico, speaking of the impact of community health workers wherever PIH works. More on the importance of social connectedness and our work in Mexico here. "It is in fact the system that has often failed them." Marie Carmel Thysme, sharing one of the lessons she learned while accompanying victims of gender-based violence. Marie is a nurse by profession who has worked as an assistant social worker at the Saint Marc site of the gender-based violence treatment and prevention program for two years. More information about the program can be found here. Dr. Edrist Duneant, an emergency medicine resident at University Hospital of Mirebalais, about the first and only emergency medicine residency program in Haiti. More information here. Co-founder Dr. Paul Farmer, during a public discussion during an Ask Me Anything on the website Reddit. Physician Assistant Paul Geah on PIH’s $1 million renovation of J.J. Dossen Hospital in Liberia, which includes the addition of the first x-ray machine since Geah began working at Dossen in 1981. The full story. Max Kerman, lead singer of Canadian rock group Arkells, during a sold-out concert in Toronto, speaking about the dedicated work of the 14,000+ Partners In Health employees worldwide. The Arkells donate $1 of every ticket they sell on tour to PIH Canada through Plus1, an organization that connects musicians and their fans to the causes they care about. PIH Canada National Director Mark Brender, on the destruction caused by Hurricane Matthew in southern Haiti in October 2016, and the need to understand historical context and pre-existing social conditions during any disaster response. More here. Jarrett Collins, Director of University Operations, on PIH’s University of Global Health Equity, a private institution in Rwanda that teaches master’s candidates how to build health care systems. Construction on the 250-acre campus began in 2016.